The Venice Film Festival not only has a red carpet, it has a boat ride to the red carpet. This water landing makes for some of the most glamorous entrances to a movie premiere anywhere on the planet. Oh, sure you may argue Cannes has those elegant stairs, but I am sticking with the water entrances as the number one form of glam. Lots of women who attended the event this year absolutely lived up to the setting of the City on the Water in colorful gowns with equally colorful jewelry. Following are the best among the brightest. For the premiere of Mother!, Jennifer Lawrence paired Tiffany diamonds with her Dior Haute Couture ballerina style gown. 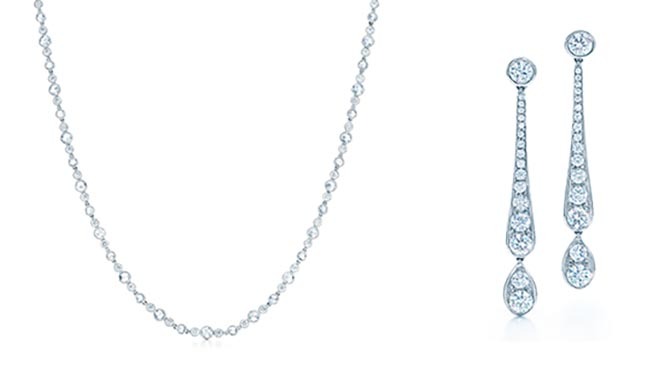 The Tiffany diamond and platinum jewels worn by Jennifer Lawrence at the premiere of mother include a Tiffany Cobblestone Diamond Necklace and Tiffany Jazz drop earrings. 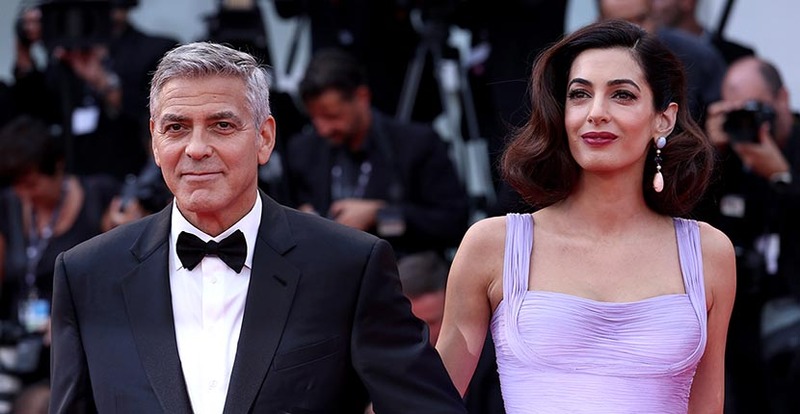 George Clooney with his wife Amal who caused a sensation in her first red carpet appearance after giving birth to twins in early June. For the premiere of Suburbicon, she matched her lavender Versace gown with purple sapphire, coral, jade and diamond drop earrings from Lorraine Schwartz. Also at the Suburbicon premiere was one of the stars, Julianne Moore who, if you haven’t noticed, is sporting a new third piercing on her right ear. She paired the diamond stud with an emerald rendition of one of her favorite laurel earring silhouettes from Chopard set with Gemfields’ emeralds and ‘Fairmined’ gold. She wore the same style in Cannes this year. At the Suburbicon premiere, Matt Damon was joined by his wife Luciana who put on emerald tassel earrings from Narcisa Pheres with an emerald green one shoulder gown. Kirsten Dunst wore a pink dress by the directors of her film Woodshock, the sisters behind the Rodarte label Kate and Laura Mulleavy. She paired the dress with earrings by Irene Neuwirth. For the Shape of Water premiere, Octavia Spencer paired a couple of her favorite designers. 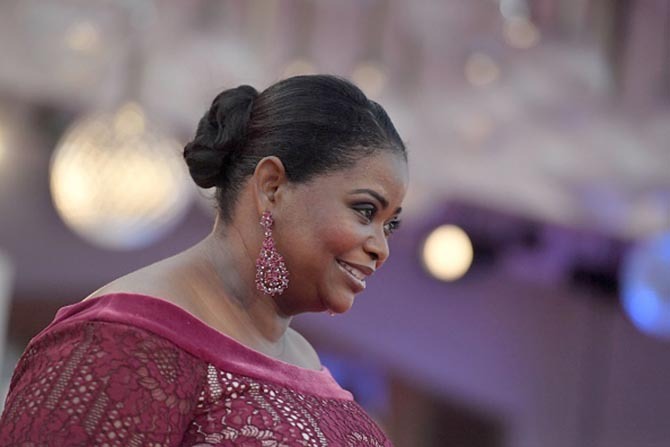 She wore a red dress from Tadashi Shoji with ruby earrings by Lorraine Schwartz. At the premiere of Our Souls of Night, Jane Fonda accepted the Golden Lion Lifetime Achievement Award from her co-star Robert Redford in a Marchesa gown and Pomellato jewelry. At the First Reformed premiere, Amanda Seyfried wore sapphire, amethyst and topaz earrings by Chopard.